Bob Hollander is the current Environmental Resources Manager for the City of Peoria Water Services Department, overseeing compliance with drinking water rules, water quality permits, pretreatment program, backflow prevention program, and compliance with the City’s stormwater permit. He was previously the Compliance and Regulatory Affairs Administrator with the City of Phoenix Water Services Department. He also worked in the solid waste, hazardous waste, and water quality programs at the Arizona Department of Environmental Quality, and as a consulting water quality engineer in the private sector. Bob is a member of the Board of Directors and Past President of the AZ Water Association, the largest water industry professional organization in the State of Arizona, associated with the American Water Works Association and the Water Environment Federation. Bob has BS and MS degrees from the City College of New York and Arizona State University, respectively, and is a registered professional engineer in the State of Arizona. He holds Grade 3 Operator Certifications in Water Treatment, Wastewater Treatment, and Water Distribution, and a Grade 2 Certification in Wastewater Collection. Ingrid Bella is the Chair of BAYWORK, a consortium of over 30 water and wastewater utilities in the San Francisco bay area working together on workforce reliability efforts including candidate outreach and awareness, staff preparedness, and technology. BAYWORK partners with the education community as well as non-profit organizations to advance the visibility, access, and entry into mission critical positions among its member organizations and the industry at large. BAYWORK shares knowledge freely on its website www.baywork.org. Ingrid is the General Services Manager at the Santa Clara Valley Water District. Her areas of responsibility include project and program management of Business Support and Warehouse services. A staff member of the water district since 2004 she has over 20 years of human resources and organizational development experience having worked in the biotechnology, data communications, and water retailer industry before joining the water district. Ingrid is a graduate of San Jose State University with a Bachelor of Science degree in Business Administration with a concentration in Human Resources Management, and a graduate of University of San Francisco with a Master's degree in Human Resources and Organizational Development. Keith Forte is a Workforce Project Manager for the State of Arizona’s Office of Economic Opportunity. The Office of Economic Opportunity serves as Arizona’s workforce planning coordinator, provides economic and demographic research and analysis, provides staffing and support to the Workforce Arizona Council, and evaluates the regulatory and taxation competitiveness by analyzing state and local costs to business. 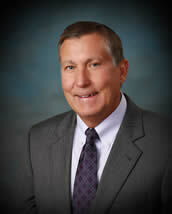 Keith holds a Master’s Degree in Public Administration from Grand Canyon University in Phoenix, Arizona. Keith has served for the last five years in Arizona’s workforce system and his work with veteran employment initiatives has been nationally recognized by the National Association of Counties in 2016. Keith is a member of the Arizona Corporate Council on Veterans Careers and is deeply involved in veteran employment issues in the state. He is currently managing several statewide projects in partnership with the Arizona Coalition for Military Families and the State Department of Veteran Services that result in both increased employment opportunities for veterans and dedicated services for transitioning service members. Keith is a retired U.S. Air Force veteran who served over 21 years in multiple fields including: F-15 Avionics, Deployment Management, and U.S. Air Force Recruiting Service. His duties took him on four deployments in support of Operation Southern Watch defending the “No Fly Zone” over the skies of Iraq and ensuring the safety of Coalition Forces. His tours have included such assignments as Keflavik, Iceland, Prince Sultan Air Base in Saudi Arabia, and Azraq, Jordan during his career. During his tenure, he became well known across the water sector for transforming DC Water into an innovative, customer-driven enterprise, while tripling its investment in clean water. DC Water’s innovations ranged from award winning Green Infrastructure and a $500 million investment in clean energy, to creative social media campaigns and patents for new treatment technologies that require less energy and chemicals but achieve better results. DC Water issued the nation’s first century bond, world’s first environmental impact bond, and spearheaded programs to support low income customers and provide meaningful job opportunities for District residents. George serves on the National Infrastructure Advisory Council, which provides advice to the White House on infrastructure policy. George is an Executive in Residence for XPV Water Partners, the only private equity firm that focuses on new and innovative water technologies. 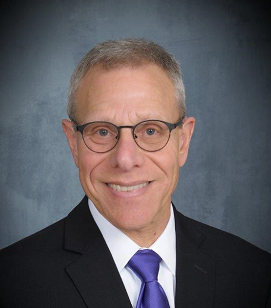 George is on the Board of Directors of the North American Electric Reliability Corporation, which ensures the reliability of the bulk electric grid. 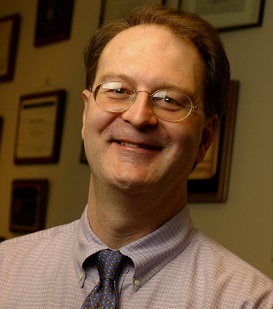 George also serves as a Professor of Practice for American University’s School of Public Affairs, where he teaches graduate students about urban development, infrastructure and innovation. Dr. Urbanski received his PhD in Organizational Psychology from Capella University. He received his MS in Industrial Security & Safety and his BS in Industrial Safety from the University of Central Missouri. His experience is extensive in the area of Environmental Safety & Health and Water Resource Technologies having worked for both private and governmental organizations including: the City of Albuquerque, Albuquerque Public Schools, WL Gore & Associates, and Maricopa Community Colleges. Attending college full time, he joined the Missouri Army National Guard, he also served 4 years in the area of Bio-Environmental at Whiteman AFB, Missouri. He continued his education and a number of years later, while working for the City of Albuquerque, enrolled at Capella University and completed a PhD in Organizational Psychology. During Dr. Urbanski’s experience he has taught numerous courses in safety, health, environmental compliance and water resources. In addition to this, he conducted seminars, workshops, panel discussions and leadership training courses. Dr. Urbanski came to Gateway in August 2013 bringing with him a wealth of knowledge and experience that has been beneficial in his service to the Gateway students. 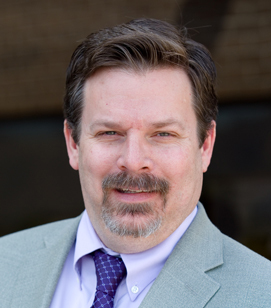 He currently serves as the Water Resource Technology (WRT) Program Director and faculty for the WRT program, where he continues to grow the Water Resources Program, and Occupational Safety and Health. Dan is a project manager for the City of Tucson Water Department. 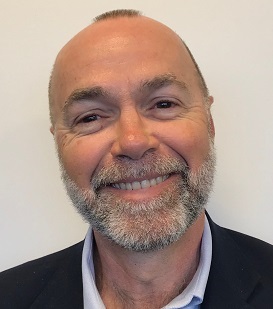 He has more than 20 years’ experience developing innovative research programs, spearheading new technology and information applications to improve water quality monitoring, customer relationship management, outreach and education, emergency management, and organizational development for the utility. Dan is a member of the Arizona Water Association Research Committee, Chair of the Pima County Dispose-A-Med Partnership, liaison to the USEPA’s Water Laboratory Alliance for the State of Arizona and the Chair of the Education and Outreach Subcommittee for the Advisory Panel on Emerging Contaminants. Frank has 34 years of environmental engineering experience, including 23 years at The Water Research Foundation. As a Regional Liaison he is a first point of contact with the Foundation for the utilities in his region, which includes Arizona, New Mexico, Colorado and Utah, amongst other states. Working at a research organization, the issue of innovation is central to The Water Research Foundation’s existence, and an area of increasing interest in the utility community. The Foundation supports innovation efforts, especially through the Leaders Innovation Forum for Technology (LIFT) program. Much of Frank’s time at the Foundation has emphasized distribution system water quality, security, and infrastructure-related issues including asset management and condition assessment work. Frank is a Registered Professional Engineer in Colorado, and a member of AWWA and ASCE. Frank has a Master’s degree in Environmental Engineering from the University of Wisconsin – Madison. Kelly Trott is a Senior Director at Imagine H2O. 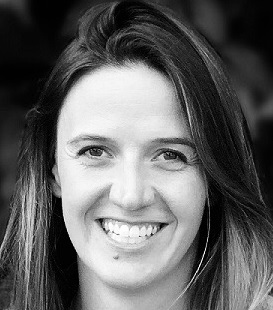 Kelly oversees strategic impact initiatives, including the organization’s work with underserved California communities, and supports the Investor and Beta Partner Networks. Kelly has a background in investment banking (Bank of America Merrill Lynch), impact investing (DRK Foundation and The Nature Conservancy) and philanthropy (American Museum of Natural History). Kelly graduated from the Tuck School of Business at Dartmouth College in 2017 and holds a MS from Vanderbilt University. 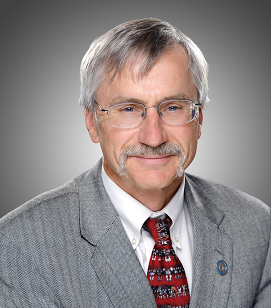 Dr. Bruce E. Rittmann is Regents’ Professor of Environmental Engineering and Director of the Biodesign Swette Center for Environmental Biotechnology at Arizona State University. His research focuses on the science and engineering needed to “manage microbial communities to provide services to society.” Services include generating renewable energy, cleaning water and soil, and improving human health. Dr. Rittmann is a member of the National Academy of Engineering; a Fellow of AAAS, WEF, IWA, and NAI; and a Distinguished Member of ASCE. Dr. Rittmann was awarded the first Clarke Prize for Outstanding Achievements in Water Science and Technology from the NWRI, the Walter Huber Research Prize and the Simon Freese Award from ASCE, the G.M. Fair Award from AAEES, and the Perry L. McCarty/AEESP Founders Award. He is the co-winner of the 2018 Stockholm Water Prize. Dr. Rittmann has published over 670 journal articles, books, and book chapters, and he has 16 patents. With Dr. Perry McCarty, Dr. Rittmann co-authored the textbook Environmental Biotechnology: Principles and Applications (McGraw-Hill Book Co.). Dr. Umble leads the Global Wastewater Practice for Stantec Consulting, focusing on municipal and industrial wastewater treatment technologies, with an emphasis on converting waste streams to value streams. He provides technical analysis and support to design teams for new and rehabilitated wastewater treatment plants, with a focus on nutrient removal and recovery facilities, process optimization for treatment capacity and energy management, wet weather treatment, solids processing and disposal facilities, disinfection systems, reuse and emerging contaminant removal technology. In addition to consulting, Dr. Umble’s experience includes university teaching and managing a publicly owned water and wastewater utility. Dr. Umble is a national leader in initiatives involving the promotion of environmental sustainable systems, from watershed planning to pollution prevention. He serves in numerous state and national forums and stakeholder work groups related to emerging treatment technologies, sustainability in treatment and environmental regulation. He serves on numerous steering committees for the Water Environment Federation including the Leaders Innovation Forum for Technology (LIFT), and serves as Community of Practice Director for Resource Recovery for the WEF. 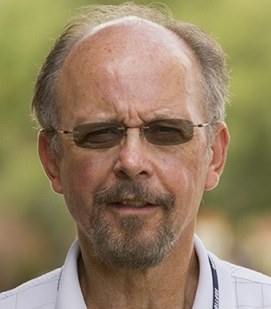 He is also engaged in research by serving as on the Research Advisory Council for the Water Research Foundation (WRF), provides peer review for several academic journals and collaborative research projects, and serves on several university Boards for curriculum development in environmental engineering. Tim Thomure is the Director of Tucson Water, providing potable and reclaimed water service to 730,000 people in southern Arizona. Tucson is widely recognized for its industry-leading water conservation ethic and a resilient water supply portfolio that provides water reliability to a desert region. Tucson has a prime interest in the Colorado River, holding the largest M&I subcontract for CAP water in the state. 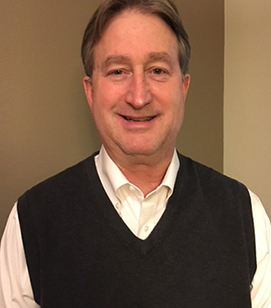 Tim is a licensed PE with 25 years of experience working in public utilities, private industry, and consulting. He holds a bachelor’s degree from the University of Illinois and a Master of Engineering degree from the University of Arizona. 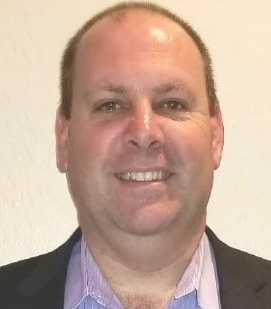 He is the President-Elect of the AZ Water Association (AWWA / WEF), is Past President of WateReuse Arizona, and served on the Arizona DCP Steering Committee. Tom Buschatzke was appointed Director of the Arizona Department of Water Resources in January 2015. Prior to this appointment he served as the Assistant Director of the Department’s Water Planning Division, overseeing the Colorado River Management, Active Management Areas, Planning and Data Management, Assured and Adequate Water Supply and Recharge Permitting, and Statewide Planning programs and Tribal Liaison. He is responsible for multiple planning and policy, regulatory and permitting programs for the management of the state's water supplies. During his twenty-four year tenure with the City of Phoenix, he served as the Water Resources Management Advisor and was responsible for policy development for management of the City’s water resources and worked with directly with the City’s executive staff, the City Manager, the Mayor, and with members of the City Council on a variety of water issues. 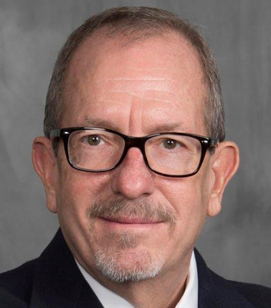 He began his career with the City in 1988 as a Hydrologist in the Law Department where he provided assistance to City management and attorneys on issues relating to the City’s water rights, water use and water supply. In addition, he has been on the Board of Directors of the Western Urban Water Coalition and served as Chair of their Endangered Species Act Committee. He was previously a Commissioner on the Arizona Water Banking Authority and the Arizona Water Protection Fund. Previously he served on the External Advisory Committees of the University of Arizona’s Water Sustainability Program and Water Resources Research Center and the Decision Center for A Desert City at Arizona State University. He has been a member of the Colorado River Water User’s Association; American Water Resources Association; and the American Water Works Association. Mr. Buschatzke’s career in Arizona water resources began with a 1982 Arizona Department of Water Resources internship in the Phoenix Active Management Area and he ultimately became a Program Manager in the Adjudications Division. He holds a Bachelor of Science in Geology from the State University of New York at Cortland. Ted was appointed General Manager in March 2016, reporting to the Board of Directors and responsible for carrying out the Board's policy directives and overseeing all operational aspects of CAP. Previously, he was Interim General Manager and Deputy General Manager, Finance and Administration. Ted joined CAP in 1999. 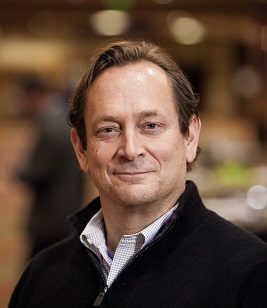 Ted's four-decade career in utilities, technology, finance and operations has also included positions at Xerox Corporation, Luz International Limited, the world's pioneer commercial solar power developer and operator, and OESI Power Corporation, a geothermal power developer and operator. Ted has earned a B.S. in Physics from Loyola Marymount University, an MBA in Operations Management and Management Science from UCLA and a DBA in Management from California Coast University. Stephen Roe Lewis was raised in Sacaton, “Gu-u-Ki”, on the Gila River Indian Community. He graduated from Arizona State University with a Bachelor's in Science and pursued graduate studies at John F. Kennedy School of Government at Harvard University. 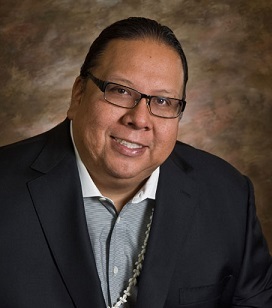 Governor Lewis has served the Community as a Gaming Commissioner for the Gila River Gaming Commission, as a member of the Board of Directors for Gila River Telecommunications, Inc., and as a member of the Board of Directors for the Gila River Healthcare Corporation. Governor Lewis has worked on numerous political campaigns and organizing projects throughout Indian Country including Native voter organizing and Native voter protection in 2002 and selected as an Arizona delegate and co-chaired the Native American Caucus for the 2012 Democratic National Convention in Charlotte, North Carolina. Paul is a fourth-generation Arizonan who lives on and helps manage (as President of Orme Ranch, Inc.) the family ranch in Yavapai County which his grandfather founded in 1929 along with the Orme School. Paul is an attorney who primarily represents agricultural-based clients such as irrigation and electrical districts located primarily in central Arizona. He has also represented individual ranchers and farmers on water-related matters. He is a third-generation member of the Arizona Cattle Growers Association and is also affiliated with the Family Farm Alliance.